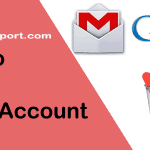 You are here: Home / Gmail / How to Create Gmail Account? An email account is necessary to communicate with people, to register on social networks, sign up for newsletters, etc. If you need to create a new email account, then Gmail may be the right choice for you. It is a webmail service provided by Google. Why should you sign up for Gmail? It’s free to create and use. Get 15GB of free Google Drive storage. One account for all Google product and services. You don’t need to create an additional account to use Gdrive, Maps, Search, YouTube, etc. Sign up on Gmail.com with following instructions. 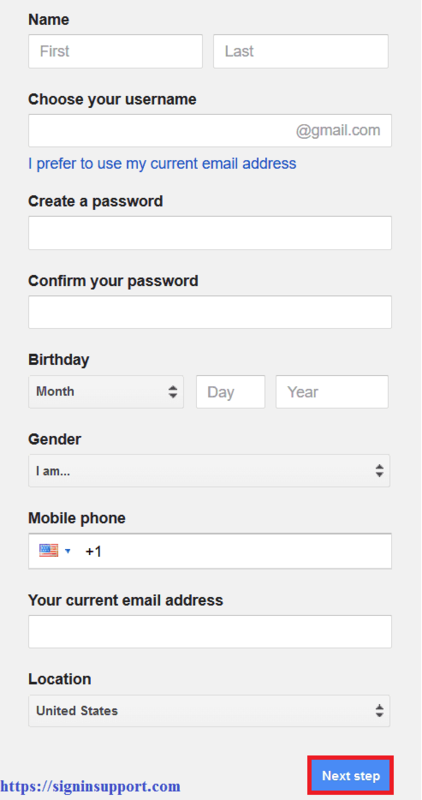 All you need to create a new Gmail account is some personal information and a mobile number. Sign up process can be completed in a few minutes. Follow the instructions below to sign up for Gmail successfully. Open Gmail sign up page or type www.gmail.com on your internet browser and click ‘Create an account’. Fill up Google Account sign up form as per on-screen instructions. First name and Last name will be publicly visible to them you get connected via different products in Google. We suggest you, enter your real name so that your family, friends, and colleagues can quickly note your identity. Choosing a unique and desired username may be quite frustrating. You may get trouble picking your name as username. We suggest you to try adding some characters in your username. Password secures your Gmail email account. You will need it every time you try to sign in to Gmail account. Make sure that your Gmail account login password is strong enough. Enter your date of birth, mention your gender. Enter your Mobile phone number which is in working condition. You’ll get a verification code, and reset Gmail password verification link. 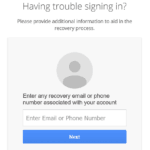 It works as a Google account recovery phone number later when you try to recover your Gmail account. Enter any other email address that you’ve access. This email address acts as your alternative email address while restoring Gmail account in case you lose access to your account. You can use any webmail service providers’ email address here. Prove that you’re not a robot. This filters if anyone, rest to human, is trying to create a Gmail account. Enter the Captcha code you see on the box. You can skip this and use phone verification step. 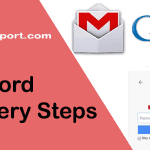 By clicking next step, you are one step closer to create Gmail account. Re-check that you’re entering username as you’re willing to create, sometimes typo may occur. You can edit all other information later, but you can’t make a change to your Gmail email username. Now you’ve your Gmail account, which will let you have access to all the integrated services provided by Google. You can open a Gmail account in any Gmail phone or any other device. Gmail is a free, advertising-supported email service provided by Google. Users may access Gmail as secure webmail, as well as via POP3 or IMAP4 protocols. Gmail started as an invitation-only beta release on April 1, 2004, and it became available to the general public on February 7, 2007, though still in beta status at that time. The service was upgraded from beta status on July 7, 2009, along with the rest of the Google Apps suite. With an initial storage capacity offer of 1 GB per user, Gmail significantly increased the webmail standard for free storage from the 2 to 4 MB its competitors such as Hotmail offered at that time. Individual Gmail messages, including attachments, may be up to 25 MB. Gmail has a search-oriented interface and a “conversation view” similar to an Internet forum. Gmail is noted by web developers for its pioneering use of Ajax. Gmail runs on Google GFE/2.0 on Linux. As of June 2012, it was the most widely used web-based email provider with over 425 million active users worldwide. According to a 2014 estimate, 60% of mid-sized US companies were using Gmail. In May 2014, Gmail became the first app on the Google Play Store to hit one billion installations on Android devices. 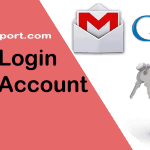 Continue to Gmail account login. Thanks for finally writing about >How to Create Gmail Account? Sign up for Gmail Now: Gmail login support <Liked it!